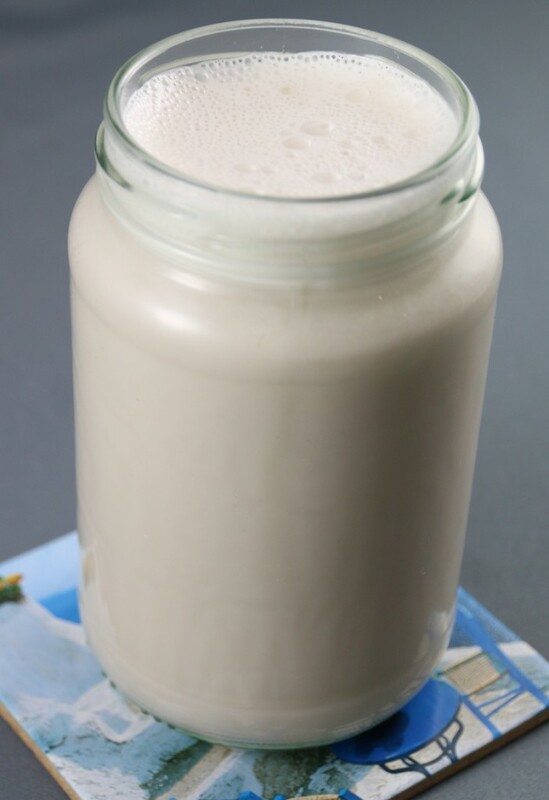 I am fully aware that this looks just like any ordinary old milk….But looks can be deceiving. This is ROASTED HAZELNUT MILK. Oh My Freak! I almost died after taking the first sip – think Nutella minus the chocolate….Creamy, fragrant hazelnutty goodness. This is hands down the best milk I have ever tasted – including dairy milk. 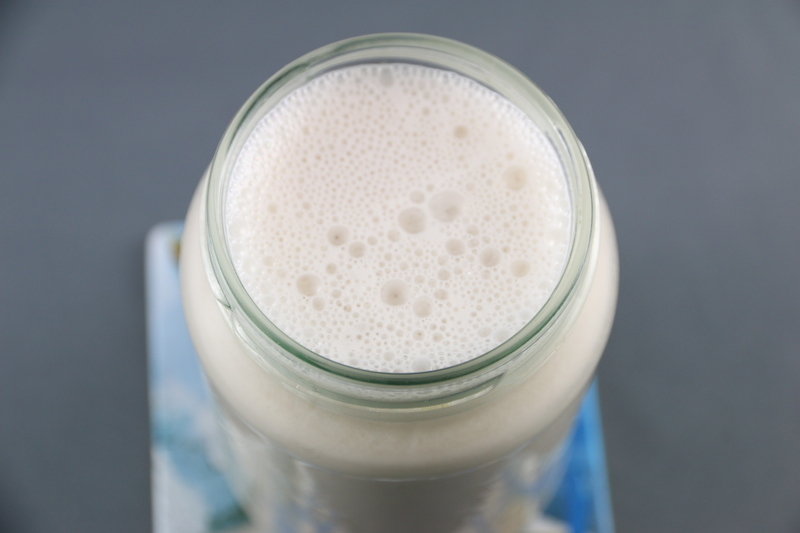 The other nice thing about this milk is that hazelnuts don’t need to be soaked before making the milk – so if you run out of almond milk and don’t have time to soak almonds – grab some hazelnuts and voila! You also don’t need to worry about the skins – leave them on as it makes no difference. I like to use a ratio of 4:1 with my nut milks – so 4 cups of water to every 1 cup of nuts. So place 4 cups of water and 1 cup of hazelnuts into your blender and blend until smooth and milky. Strain through a nut milk bag or a stocking – gently squeezing out any extra water from the pulp. 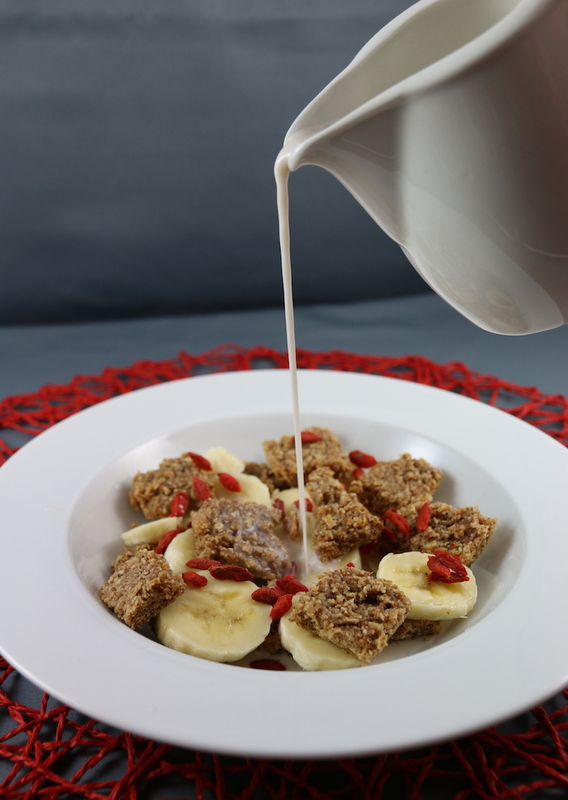 Quickly rinse out the blender – you don’t want little nutty bits in your smooth milk. Pour milk back into the blender and add a tablespoon or 2 of maple syrup (this is the yummiest) or honey or a date or 2 and blend until smooth. Taste test and if you approve – pour into a glass jar, seal and store in the fridge for about 3 days.